The Society of Certified Senior Advisors seeks to recognize the outstanding achievements of Certified Senior Advisors (CSAs) through the 2016 Service to Seniors award program. Every day, Certified Senior Advisors demonstrate their deep caring and respect for older adults by serving the senior community through the CSA Difference. Whether initiating programs, participating with senior organizations or making the vital connection with a senior in need, CSAs are making a lasting impact in the lives of the older adults they serve through volunteerism. 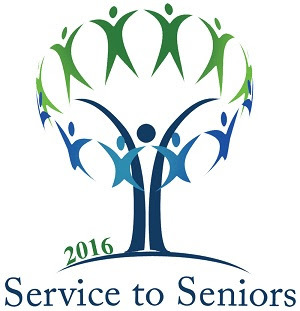 The Society of Certified Senior Advisors is currently searching for 2016 Service to Seniors award applicants. If you are one of these highly-motivated volunteers we invite you to share your story by entering the 2016 Service to Seniors award program. $500 donation to a non-profit senior service organization of their choice. Free registration to the 2016 CSA Conference in Washington, D.C. August 26 – 28. Travel and hotel accommodations to the 2016 CSA Conference. Recognition during the Service to Seniors award ceremony. To apply for this award, please complete the following online application and submit, along with a letter of recommendation. All applications must be received by May 31, 2016 in order to be considered. Please submit an application for yourself or nominate another CSA for the opportunity to join Service to Seniors alumni who have demonstrated deep respect and compassion for older adults and work to improve their lives through volunteerism. The person who is applying for the award must be a CSA. As a Certified Senior Advisor, you may apply yourself; or any other person or organization may nominate a CSA. Volunteer activities must be performed in connection with or for a senior-related organization or community cause. A completed application form and letter describing the volunteer service must be submitted together. In addition to the application form and letter you may include testimonial letters from seniors, the volunteer organization and others, as well as other materials such as photographs that help describe the accomplishment. Provide the contact information of one or more persons who can give more details to the selection panel, if needed. If selected, the winner must be present at the 2016 CSA Conference in Washington, D.C. SCSA will cover all hotel, registration and travel expenses for the winner. What is the name of the volunteer program or activity? Approximately how long has the volunteer program or activity been in existence? What was the issue the volunteer program was trying to solve or what is their mission? How did the applicant for the award work to make it happen? Include descriptions of how the applicant displayed qualities such as initiative, resourcefulness, dependability, or the ability to develop relationships; the amount of time that was invested; and other things that stood out as special and/or extraordinary. What were the results of this volunteer service? How are the seniors’ lives different as a result of the volunteer service? This can include the effects on seniors’ caregivers and immediate family members.